To date, when technology is constantly progressing, man is available a lot of new features. Almost every person on Earth, from young child and ending with an older man, It is carrying a mobile device or a small tablet, which is necessary for communication. However, each device only works thanks to a special software. Besides, manufacturers have started to create additional programs, that simplify people's lives. for example, Now you, I am in a strange city, You can use electronic cards, which will show the right path. To do this, you need an electronic device and special software. In this article, we shall understand, both installed Yandex. Card to a computer or the phone. Instructions may differ slightly depending on whether, what device you're using, and what operating system it works. Telephones, which are based on the Android operating system has its advantages, despite the long loading programs. They have a personal online store, which contains all the applications Yandex. Cards are no exception and are also found in the catalog. Moreover, these programs are free, which means, that they can download an infinite number of times. The first thing you need to open the Google Play. It is true for older versions of Android and Android Market approach. Before you open the catalog, where you have to find Yandex maps. Search will give you two applications, so do not be afraid. One of them will be very card, and another navigator. If you need, you can install and navigator, which will show you the way. After successful installation, both programs will appear in your menu. The application of Yandex can be installed on various ustroyastva, including mobile phone or smartphone. Virtually all the latest models supported by the system. It is important to know, application to work correctly, you need a good Internet connection. Open the browser on your phone, Opera mini is desirable. He is the most popular and high-quality software. 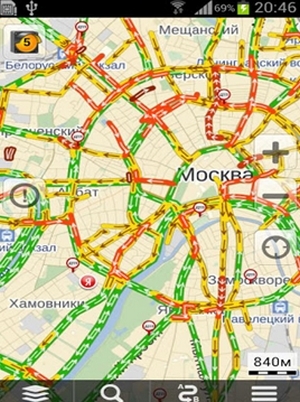 Next, click on the following link: m.ya.ru/maps. It is necessary to check, Service to correctly recognize your device. If the version listed is not correct, then select “list” and find its own model. After this operation, you only download and install the application. All phone questions should be answered in the affirmative. Now you know, how to install Yandex. Cards. We delve into this topic and consider the additional features. To make sure, that your phone supports navigation and Yandex. Cards, you need to know, which operating system is worth on your machine. If you use the Android, then you just have to get acquainted with the detailed instructions, which is written in the beginning of the article. The process of installing card does not differ from the installation of the navigator. Download WinCe application on your computer and unzip it. Then, using the file manager, transfer the unzipped files to navigator. Done. Now you can use the installed application.